The Gift Pack in Kit Form, ideal for that special someone. The HIDIOT is the tiny electronics board that fits in your wallet! 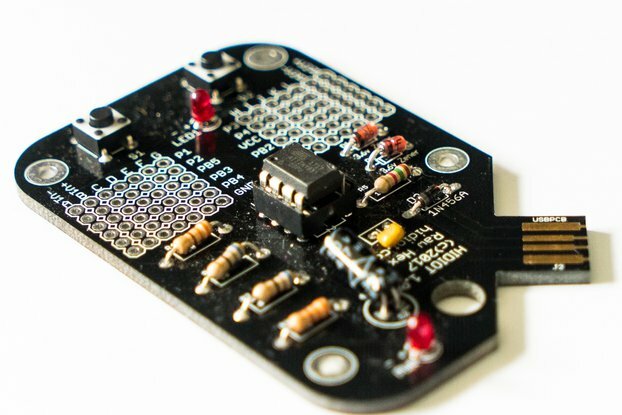 Specifically designed for people who've never soldered before, the HIDIOT is a project that helps you build a tiny but powerful computer from the component level up. You can learn everything that this device does right down to the electrical level. Our documentation assumes no prior knowledge and is designed to be followed through on your own or with a child (age 11+ recommended). Our site takes you through everything from understanding electricity, to building the device and programming it. 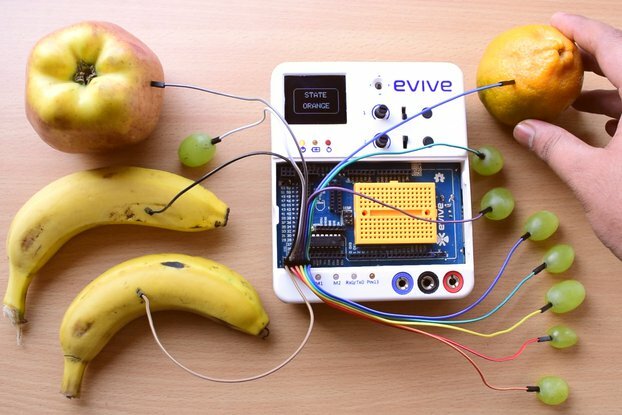 We even have sample projects for you to try out once it's built, so you can learn how to get more from the tiny computer you built yourself! You can get support for the HIDIOT from our community and our YouTube channel features videos walking you through things you can do with the HIDIOT. If you still have questions get in touch at support@rawhex.com and we will do our best to help! Our online tutorials will walk you through building your HIDIOT step-by-step from soldering to programming. Once you've built your HIDIOT there's plenty of guided projects for you to try out, and we're adding more regularly. Please note: The HIDIOT Gift pack is sold as a kit and will need to be built. A pre-assembled option is available. Steve built a lot of Arduino projects but found that going from breadboard to PCB was a massive jump. 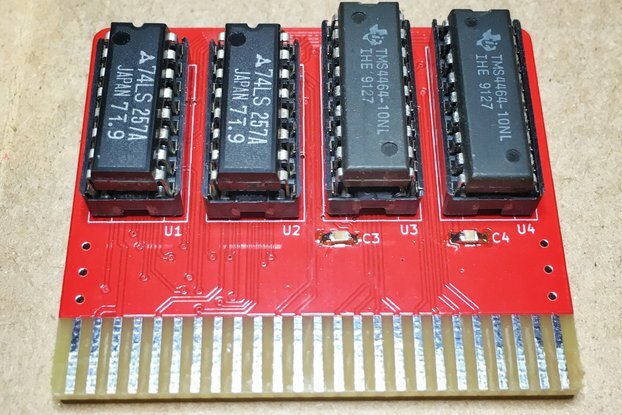 He wanted to create something that would help people easily and quickly go from breadboard to finished product without needing CAD tools or custom PCBs. His Gran was fighting cancer at the time, and this project gave them something to talk about that kept her focused on the future. That's why there's a dedication on the back of the board. 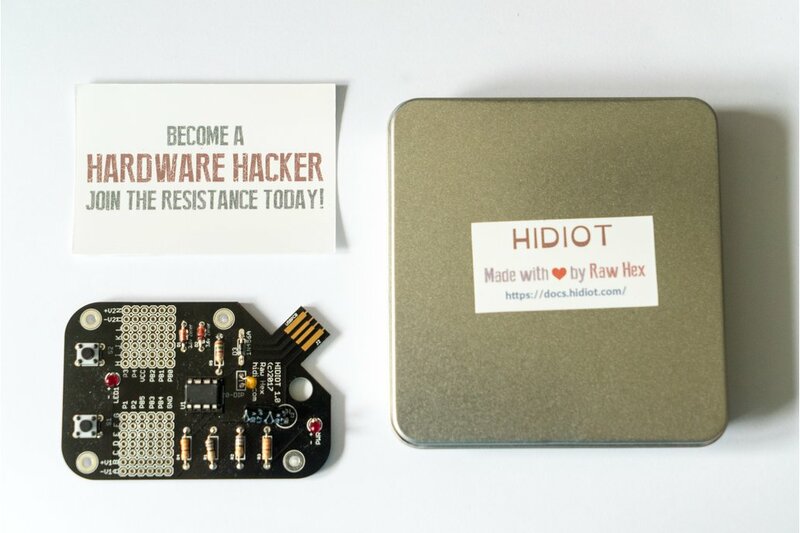 The HIDIOT Gift pack contains all the parts needed to build a HIDIOT in a beautiful tin case, complete with hardware hacker inspired sticker. This is the ideal pack for birthdays, Christmas or gift for someone special.So if you have a special someone who'd like to get into electronics, this is a great start! What does the HIDIOT Gift Pack contain? All you need is a soldering iron, solder, and some common tools and cleaning equipment, and you're good to go! Check out our tutorials to get started. International untracked shipments should arrive within 10-15 working days after dispatch. If you have not received your order within three weeks from dispatch please get in touch and we well look into it for you. Please note that you may be liable for import duties, sales tax, or customs processing fees if you’re outside of the EU. It’s your responsibility to ensure you’re fully aware of the local requirements for importing goods from the UK to your location. Unfortunately we cannot offer any refunds due to unexpected charges applied by your local customs authority. Please note that customs clearance can sometimes cause delays to the above timescales. International tracked shipments should arrive within 10-15 working days after dispatch. If you have not received your order within three weeks from dispatch please get in touch and we well look into it for you. Please note that you may be liable for import duties, sales tax, or customs processing fees if you’re outside of the EU. It’s your responsibility to ensure you’re fully aware of the local requirements for importing goods from the UK to your location. Unfortunately we cannot offer any refunds due to unexpected charges applied by your local customs authority. Please note that customs clearance can sometimes cause delays to the above timescales.